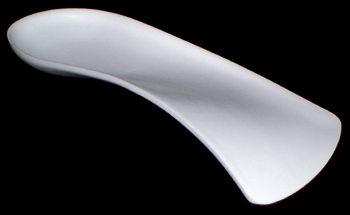 Dr Foot Rigid are firm light thin Polypropylene 3/4 length orthotics. Dr Foot Rigid Orthotic Insoles are biomechanically designed to optimize the function of your feet and legs. They provide a natural form-fitting feel, while controlling the flattening of the foot within the shoe. By realigning the joints of the feet and legs, as well as reducing the harmful forces impacting these joints, Dr Foot Rigid Orthotic Insoles can relieve discomfort caused by a variety of conditions, as well as prevent further damage to your feet.